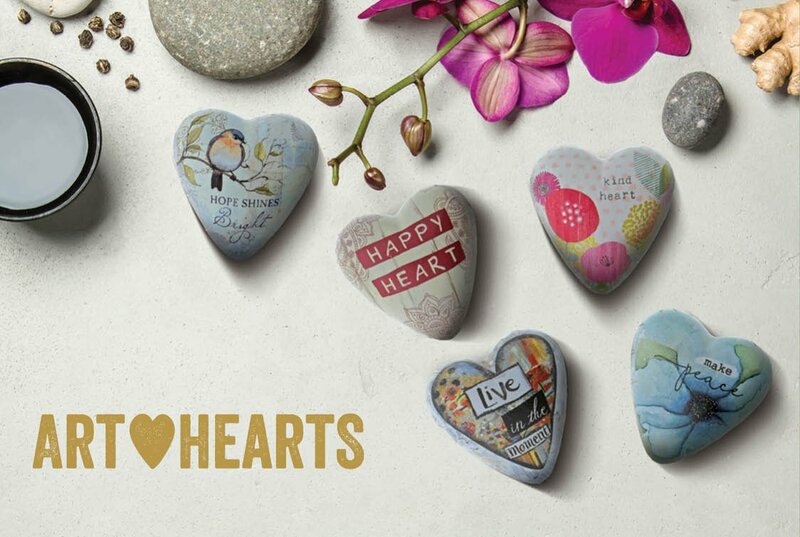 A curated collection of heart sculptures and tokens offering artistic ways to express love. 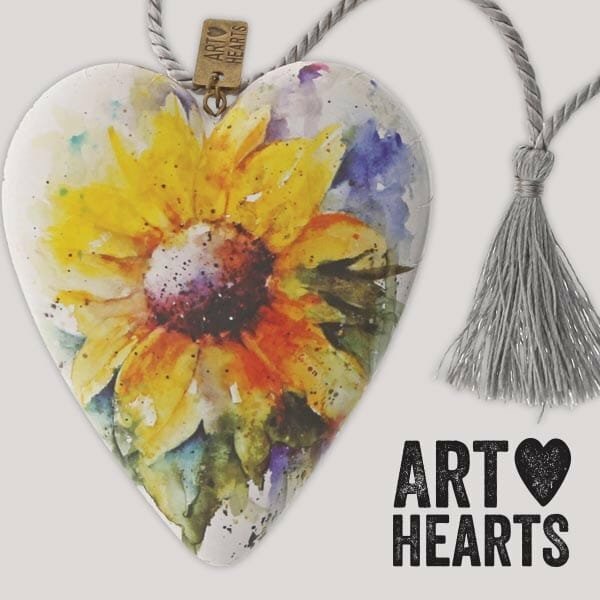 Each Art Heart is colourfully illustrated by a popular artist in the gift industry! Each artist’s one-of-a-kind style expresses sentiments of love, friendship, celebration, and thoughtfulness. 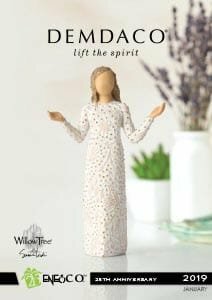 Featuring a range of art styles, patterns and designs – from modern, vibrant themes to beautiful folksy botanical motifs – these are perfect for any gift-giving occasion, age or gender. Each Art Heart sculpture carries the artist’s name and comes with specially designed packaging to create a gift that will be cherished. Art Heart sculptures can be hung by the tasseled cord as an ornament or can be displayed using the unique key stand. The lovely heart tokens, with sweet sentiments, are sized to carry in a purse or pocket as a keepsake. The broad selection of cool designs means there’s an Art Heart that’s perfect for sharing your feelings with the one you love. Enesco presents new water colour Art Hearts by acclaimed artist, Dean Crouser. A curated collection of heart sculptures that offers gift-givers artistic ways to express their love is set to expand, as Enesco announces three new additions into its Art Hearts range by Demdaco.